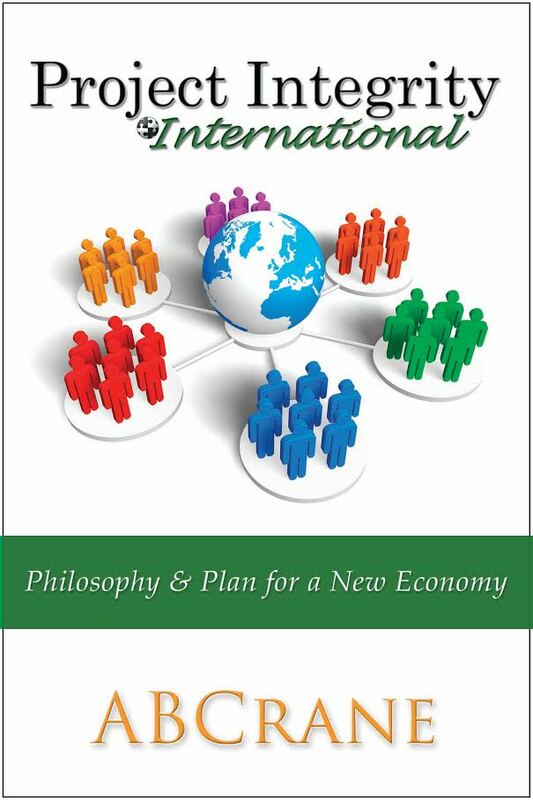 FREE copy of author and social visionary ABCrane’s Project Integrity International: Philosophy & Plan for a New Economy (Gungho Publishing, 2015) in exchange for an honest review. Crime, epidemics, pollution, political corruption, violence, ignorance, and catastrophic environmental disasters threaten our species’ survival at a rapidly accelerating pace. Today more than ever, it is critical that international communities foster the growth of environmentally sustainable—and life-sustaining—social paradigms and technological innovations. Yet “green” is simply not enough! While sustainable products and services are certainly critical to the survival of our people and the natural environment, they alone do not end wars, fight poverty, solve for unemployment, curb crime, or serve as magic bullets for any of our global epidemics. Beyond providing green products or services, Project Integrity International strategically launches an international franchise of educational, spiritual, social, and eco/entrepreneurial opportunities that absorb people away from the destructive military-industrial establishments that dominate human societies across the globe. PII proposes a comprehensive solution to so many problems facing humankind in the twenty-first century while saturating her seven billion strong with a tidal wave of economic opportunities. ABCRANE is a social visionary who enjoys walking the tight rope between fantasy and reality, between the mundane and the surreal, and between truth and illusion. From early childhood, she has been one to question answers and answer questions. A Bachelor’s degree in Sociology helped Crane to better analyze the problems of the world while a double major in Creative Writing coached her how to imagine, innovate, invent—and write!—about solutions to those problems. Her continued self-education includes areas such as holistic nutrition, green business, progressive education, and social activism, as well as her successful completion of a course in business offered by a wonderful non-profit organization, Women’s Initiative. Residing in Sunnyvale, CA, Crane is preparing to launch an innovative internet cafe that will provide teens with an exciting real world after-school alternative and public meeting place to call their own. Also in production, is her exciting musical stage play, Kangaroo Fu: The Little Red Poem. Hello. If you Google me you will find a lot of poetry reviews I have written. If they are in the ilk you are looking for, pls consider me interested in upcoming poetry reviews. I have a book put myself but still love reviewing.